Successful businesses know how to provide great customer experiences. Founder and CEO of Red-Carpet Learning Systems, Inc., Donna Cutting is no stranger to this. Working about making people feel significant, she talks about rolling down the red carpet in business and mapping out experiences to people. She gives us a peek into her book, 501 Ways to Roll Out the Red Carpet for Your Customers, as she shares some examples of businesses who have done it right—from Mama D’s and The Asheville Theater, to G Adventures. Donna also talks about the value of celebrating mistakes, setting the stage for the culture you want to create, and the things that hold people back from standing out. She then gets into a game by laying out ways to create a great experience across different industries like hotels, schools, and more. Walking down the red carpet from Asheville, North Carolina. The author of The Celebrity Experience and 501 Ways to Roll Out the Red Carpet for Your Customers, the one and the only Donna Cutting. Donna, welcome to the show. Thank you so much, Jesse. I’m excited to be here. I love how you sign off on your emails. You own the red carpet. It’s similar to what I do. I’m Yellow Tux Jesse, you are Red Carpet Donna. How did you start owning the red carpet? Thank you for that. I love that people see us that way. 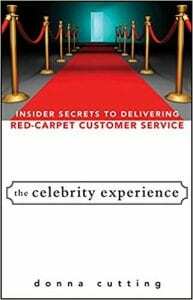 It all started with the book, The Celebrity Experience. I had this idea that wouldn’t it be cool if we could treat our customers like stars? That starts with rolling out the red carpet for people. The theme has stuck with people as people get excited about that concept. When people see me, they tell me when they see red carpets. They’ll email me pictures of them and say, “Thinking of you.” It’s a great symbol for treating people to their significance. Few people are in the minds of their customers by visual images. They’re trying to be many things. The yellow tuxedo and the red carpet to you, it associates what it’s about, the red carpet experience. There are a few different things that to me it symbolizes. Number one, it’s always about making people feel significant, important, and special at that moment with that customer, that team member, that person in front of you. I love that companies like yours embrace the excitement of creating extraordinary experiences for their customers. To me, you think of the Oscars, the thrill of the red carpet, the excitement. When I talk to someone like yourself or some of the other people in my books, they are overflowing with excitement about the experiences that they’re creating. It’s a twofold symbol for me. We should set the context for the readers. As many of them know, I’m an avid reader. I try to read about 100 books a year. We do book reports. I found your book looking for more ways to enhance our Fans First experience. The number of earmarks I had in the book was literally every page. One of our employees looked at it and was like, “Jesse, what are we supposed to do with this? It’s every page.” I did my book report. It’s the longest book report I’ve done because it has many ideas you presented in the whole thing. I was blown away. I sent you a thank you letter because a lot of times, authors don’t know the impact they make. You made a profound impact on me because it was the most practical tactical book on the customer experience that I’ve read. I want to thank you for it and that’s why we’re here on the show. Thank you. That absolutely made my day. When I looked you up as a result of that thank you note, I was blown away by everything that you’re doing. I thought, “This guy is rocking the red carpet and the yellow tux.” I’m glad to be here talking about something we both love. We have a yellow carpet at the stadium for reference. We’re the only people that have the yellow carpet. We’re going to own that and we can battle against your red carpet. What was key to the book is that you gave all these examples of companies. I share all the time that you got to be a sponge and the best teachers are the ones that are constantly learning. It’s obvious that you have learned much from some of these companies that put their customer first or we put fans first. I’d love to dive into a few of these companies because the first one that fascinated me was Mama D’s. Can you share a little bit about their story? How did you got connected with them? What are some of those crazy things they’re doing? I’m trying to remember how I connected with Mama D’s. Honestly, at the top of my head, I don’t remember but this is what I do remember. I did many interviews for the book. All of them were incredible, but there were a few. You can usually tell because I write about them throughout the book where I was on the edge of my seat, taking a million out. That interview with Spencer from Mama D’s was one of those. They are an Italian restaurant in Newport Beach, California. They have taken the thing that people don’t like about restaurants, which are waiting in line, waiting to get into the restaurant and turned it into the reason why people go. Spencer said to me, “Our meatballs are amazing and people come for the meatballs, but they come back for the experience.” They have created this incredible experience in their wait line where people are immediately getting bread. They hired additional servers. They’re all walking around with samples of some of the things that they serve on the menu. People are already eating before they ever sit down. During the weekends, they have magicians or clowns or jugglers, entertainment for the kids. They have comfortable chairs for them to sit down. Always you can go there and there’s usually a line, but people are excited now about the line because they turned it into this extraordinary experience. Don’t they have a red carpet and stanchions too when you come into the restaurant? It’s brilliant because every company needs to look at those friction points. What do people hate about the experience in your industry as a whole? We think about that all the time with our team because when you go into a sporting event, what do you not look forward to? Parking and then standing in line. We have people dressed up as parking penguins that take people to their spots. Does it make any sense? Of course not. We’re going to have Freezie Pops so those penguins can give those to little kids when they’re coming up through the lines. We think about our pep band playing outside the gates as fans are walking in with the players set up. It’s about those friction points. That’s why I was fascinated about Mama D’s because in many restaurants, you go in and you’re not even greeted when you first walk in. They’re making the whole experience wonderful with the free appetizers and how you walk in. A few other things from them I thought was brilliant was their checks aren’t signed by the owner of the company. They’re signed by your boss who is the customer. That was something that Spencer talked about where he absolutely changed the paradigm of how they do business. I want to say Spencer would say it wasn’t him. He is the one that I interviewed. He has a boss and he has a team and they all work to do this. They changed the paradigm so they look at the customer as their boss. As a result, that’s what they’re always asking is, “What would our boss want here? How are we going to create this as a great experience for our boss?” The owner of the company doesn’t even sign the checks. It’s signed by your boss, the customer. It’s a new thing. I think about our team and our company is named Fans First Entertainment. Our mission is fans first, entertain always. Our boss, our owner is the community, the fans. This is their team. It’s not our team or my team. What if every business looked at their business that way? Would they treat things differently? It works too. They have been number one in their area on Yelp for years and years and have won many awards. It’s definitely paying off in a financial way for them as well. Plus, they’re having so much fun. They also had a thing we’re going to take too, a no complaining document for the entire staff. When they come on, you definitely set the stage for the culture that they have there at Mama D’s. Every single team member has to sign a no complaining document. He talked about when team members make mistakes. They work to celebrate those in a way because they learn. They work hard not to make people feel bad for the mistakes that they made but always learn from them. That’s important if you want to create a culture that produces those results as well. What would be an example of celebrating the mistakes? It’s that concept of taking your business seriously but never take yourself too seriously. When they create an environment that’s fun, that it’s acceptable to do that, it makes everyone else be better at their job. I’ve seen firsthand our teams perform better because they’re having fun. They’re dancing. They’re delivering roses to girls in the crowd. They’re going on dates with fans. They’re having so much fun that they perform better. We put so much stress and make it difficult for a lot of times for our employees to be successful because we put many demands on their success. One of the things that you do, and I’m guessing here, is that you involve your entire team in coming up with what that fun is going to look like. I have seen companies where it’s this force prescribed way that we are going to have fun. It becomes systematized and the team members aren’t into it and then it doesn’t have the intended result. You set the stage for the culture that you want to create. They are coming up with the ideas. You’re selecting people who have that mindset then you can have so much fun and make such a difference for both your employees but also your customers. It’s almost having everyone imagine what the best experience would be. We talk about our fans. Our biggest fans are our own people, our employees. What’s the best experience for our own fans first and that will create a great experience for everyone else’s fans? We’re both passionate about this, but I want to talk about some other businesses that are doing things differently that you talked about in your book. The Asheville Theater, which is in your hometown, share a little bit about them. We’re in a similar business. What were some things that stood out for you with them? We have two theaters. As you come to Asheville, North Carolina which is such a cool town to begin with, we have a great theater here. We have the Asheville Community Theater and then we have our professional theater, which is the North Carolina Stage Company. I love what they do because these are simple little things. Sometimes people hear the big stories and they can get overwhelmed. My intention with the 501 Ways book was to say, “You could start with one or two little things.” Asheville Theater started to make sure that everyone is trained to welcome anyone who walks through the door. That’s such a simple thing. When we ask people to tell us about the best customer experience they’ve ever had, sometimes we get over the top responses. Were the people in the front called Showstoppers and they wear top hats as well? You are talking about the Durham Performing Arts Center and that is a whole other level. I found Durham Performing Arts Center because I went to see a production of Hair. I was blown away by the experience that they provided. It started even before we got there with every question that I could possibly have was answered in an email. Right down to what was going on in Durham, North Carolina that day and what time I needed to leave in order to get good parking. We get there and they’ve got these people dressed in uniform with top hats called Showstoppers. They are there to warmly welcome everyone as they come in, but it wasn’t just the two people that were dressed up in costume. It was every volunteer and every staff member. It was well-organized. People smiling directing you to the right place from beginning to end, even the bathroom line. As a woman, one of the most exciting things, because women are always waiting in line in the restroom, this restroom line at intermission went quickly because of the way they had it organized. When I talked to Bob Klaus, the General Manager, he said, “Here’s what we do.” They survey every guest. Every guest that fills out a survey, they sit down regularly and pour through those surveys. What they’re looking for are those friction points. Ladies’ restroom at intermission was one of those friction points. What they’re doing is constantly asking themselves, “How can we make this a better experience for people?” to the point where I walked away wowed by the restroom experience. That’s how good it was. I think about the restrooms all the time. I’m like, “In the guys’ restroom, could we have a DJ set up playing music, making a party in the guy’s restroom?” because guys don’t like to care about all that other stuff. Can we make it fun? The women’s restroom, what would be the most exquisite spa-type bathroom ever, but we’re in a 1926 ballpark? We think about all those stuff but it sounds this theater is doing it. It had me when it was talking about top hats. Companies could have people dressed up and they create that fun environment. Are you dressed like everyone else or are you doing something different? People are like, “You won’t believe who greeted me at the insurance company,” or whatever. I am such a passionate advocate for involving the people in the trenches, your team members in coming up with what those ideas are. Sometimes organizations can learn from other companies, but if they try to implement exactly the same thing, it’s not necessarily going to come across as authentic to them. If they ask that question as you do like, “What could we do to make this an extraordinary experience?” Their people in their culture will come up with amazing ideas that they may never have thought of otherwise. It starts with asking the question and being open to the answers too. You need a team to own it. That’s such a good point. When the owner comes in and said, “We’re going to do this,” and no one feels like, “That’s not my idea. I’m not going to put the emphasis into it.” That’s one of the reasons why we do Ideapaloozas where we bring the entire staff to come up with ideas. We ask, “Who owns that idea?” and we go from there. I want to get into the employees because there are a lot of cool things you talked about the red carpet for employees. Another company that stood out for me was G Adventures. They said, “Happiness as a business model is brilliant and so profound.” Can you share some things with our readers on what is G Adventures is doing that’s dramatically different than everyone else? They are a global travel company. The thing that immediately comes to mind to me was the way they hire people. First of all, they have a Mayor. The Mayor of G Adventures is who I spoke with. At the time, it was Dave Holmes. He’s part of a team they called the G-Force. His whole job is to create an extraordinary employee experience and particularly for them, they’ve got people who are in-house at their home office. They’ve got people all over the field, all over the world leading tours that are part of their team. They have to be intentional if they want to create a unified culture. They’ve got one person whose sole job is that. They call him the Mayor. One of the things that I loved was the way they hire people. When they hire people, particularly for the home office or if they’re coming in the home office, there was this whole process that they use. At the end of the process, the last interview is done in a ball pit. You know a ball pit that children play in that we all, as adults, still want to play in? They have the interview in the ball pit. They’ve got a Wheel of Fortune thing where they spin the wheel and that’s what determines the topics for the interview. What’s brilliant about that is that’s their culture. They do all these crazy things. If you show up at that interview, your response to having your interview in that ball pit is pretty telling as to whether you are going to fit into the G Adventures culture or not. I can only imagine if someone’s in a suit, they’re going in taking off their tie, taking off their jacket, and hopefully trying to get comfortable or they’re not going to fit in. It sounds everything they’re doing is about happiness and fun. I remember reading about the prom they have and Beer o’clock and these things if you remember what they share they did. Beer o’clock is also what came into mind. Every single Friday at 4:00, beer, wine and cider appear in the refrigerator in what they call the kitchen. They had a prom. They had a ball pit. Their meeting room is called the William Shatner Meeting Room. It’s all decorated like the USS Enterprise from Star Trek. There were cutouts of William Shatner and Leonard Nimoy. They host games like one they call The Amazing G Race. They do all kinds of innovative things, scavenger hunts, races and things like that with the people that are out in the field. They’ve got 1,500 people in their company and most of them are elsewhere in another country. They give out swag bags. They had a day called Haircuts and Hotdogs. That’s the day they hire a hotdog vendor to come and cook lunch for all of their staff at what they call Base Camp, which is in Toronto. That’s their home office. They’re always looking for ways to incorporate the staff out on the field as well. Everyone can think about how they name their meeting rooms. Don’t just say, “We’re meeting in a conference room or we’re meeting in that area.” Name it and theme it out. It makes it more fun. When people come in, they can say, “This isn’t my typical office. This isn’t the typical experience.” In the good name of fun, we’re going to do our first game if you’re mentally prepared, Donna. Mapping Out Experiences: Accountability is the sincerest form of love. I’m a little frightened, but I’m going to do my best. Truth or dare, which one would you like first? What’s one thing that’s holding you back from success or standing out? I went to a retreat about that very thing. It was all about mindset. This was not a Tony Robbins event, but Tony Robbins says, “90% of business success is the owner’s mindset.” This was delving deep into that and looking at what are the things that I say no to or that I hold back on because of some fear or some old belief system. If anything is holding back, that’s probably me. I’m digging deep into how to change that. Why or what’s that fear or those things that are keeping you from achieving big success? Is that what you’re looking to do? That’s exactly it. As an entrepreneur and someone who is caring about their people and always concerned about, “Are we pestering people? Are we out there too much?” the other side of that is we have such an important message. It’s beyond customer service. It’s about making people feel important. It’s about the way we treat people every single day. I’m digging deep as how am I getting in the way of the legions of people that need to hear that message from Red Carpet Donna and her team in the way that we do things? We’re providing meaning for people and make a difference. I go through that too. I believe accountability is the sincerest form of love. 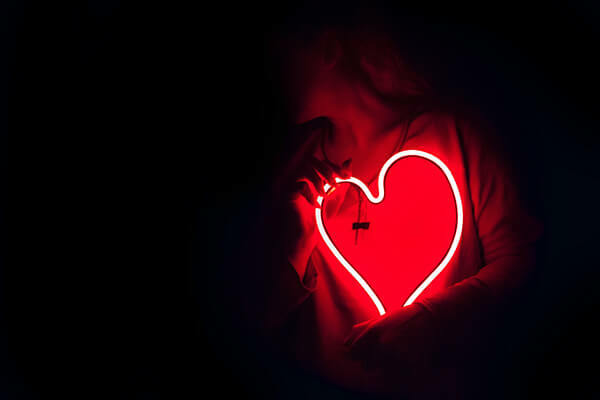 If you’re not holding people accountable, whether that’s your clients, your own people or your employees because you’re afraid of what they think, you do not sincerely love them in my opinion. We went deep there. It’s going to get ridiculous. Are you ready? I can’t remember the lyrics. “On a magic carpet ride.” That was right up your alley. Mapping Out Experiences: People are emotional and that’s what causes them to act. If it was red carpet, I totally would have gotten that. I couldn’t find any red carpet song. That was the closest that I got. You came in second on that one. I want to go to the red carpet for employees. Something you added at the end that we are on the same page 1,000% is the gratitude and the 21 Days of Thank You. To give context so my audience knows that I started The Thank You Experiment in 2016, my word for the year, for the one word, was care. I decided to write one thank you letter a day for every day. It changed my life and I didn’t stop at the end of 2016. I’ve been doing it for a few years going into it. When you wrote the 21 Days of Thank You, you gave different ways for you to say thank you to your employees. I’d love for you to share how you come up with that and some ones that have seen an impact, other than maybe a typical pat in the back thank you. On my website, you can download those for free too. They are in the book. I happen to know it was my former boss. I write about her in all my books because she was my role model for what a boss should be. She emailed me and said, “We did this. We took the 21 Days of Thank You as a team.” The whole leadership team sat down and planned it out. They did every single thing on the list. That’s where the impact is. You could do a small thing here or there. The idea behind that exercise is to get people thinking about being more intentional and consistent with the gratitude of your team members. They split it up and they planned it out. They did every single thing on the list. There were simple things like writing a note, pick someone and write a thank you note. Be specific about what they did. There are other things like bring in doughnuts or goodies or whatever. It’s not difficult. Some things you have to plan more than others, but it’s being a real intentional about thank you. What my former boss said was, “People were touched.” The leadership team that was doing it was jazzed by the response that they were getting from their employees. Their employees were sending thank you notes to them for the thank you notes they were receiving. It created this whole energy within their team that hadn’t been there before. She was excited about that exercise. That’s what the power of it is in sticking to the 21 days and doing the exercise as it was intended. It was tons of different ideas. I do a lot of thank-yous with a quick little selfie video, a one-minute thank you video. It’s easy but it’s more personal than doing a thank you email. Another thing too which we’ve done is when someone does a thank you letter for one of the peers at the workplace. They read it out loud to them in front of others. When you read something like that out loud, the emotional impact that it has is pretty powerful because it shows that person means it because they’re saying it out loud in front of other people. I love gratitude. I start my day with gratitude. That’s something that’s easy and practical, but few people put the time into doing it. Also looking for the stories like you have incredible stories that come in from fans, from your guests at the ballparks and sharing those with your team members. Reading them out loud and making sure that everybody is getting a feel for the impact that you’re making in other people’s lives. I’m using you as an example, but that can work for any organization. When you get these thank you notes, when you get stories, when you witness something one of your team members have done for a customer that made an impact. Sometimes people don’t share those stories because they say, “It’s what we do.” The more you share it, the more stories people will be excited to create. You want to make those stories legendary in your organization. They hit people emotionally too. People are emotional and that’s what causes them to act. Another thing I noticed in your book was the $100 challenge. I can’t remember who came up with it or what company, but they would give $100 to employees. Can you share a little bit more about that? It was a magazine and I am blanking on the name. It was such a great idea. There’s a video and you can find a link to it in the book where they gave their employees $100 and gave them the day to go out and do something for somebody else. They partnered people up so every team had different ideas about what to do. Some went to a fire station and bought $100 worth of pizza for our people at the fire station. There’s a story where they helped a homeless person. It was fascinating to see the experience that these employees had. You always think people won $100 for themselves. That’s always nice as well but to be able to send them out and do something for somebody else, create an incredible moment of generosity and spirit for the employees of this magazine. The video went viral as well. You never want to do it for that reason, but there are benefits for that as well. Before the next game, I want to share with you some of the things that I took from your book. I started thinking about how we can do this because it’s important to share ideas. Setting up an Instagram account and share pictures of your customers, your employees you make the customer the hero. For us, we make it all about our fans. It’s almost an Instagram account run by the fans. I love creating a Fans First holiday for us. Make it the best celebration. It’s not about the Christmases, the Thanksgiving parties or whatever. You create a holiday for your own company and celebrate your fans. That was a big theme throughout. 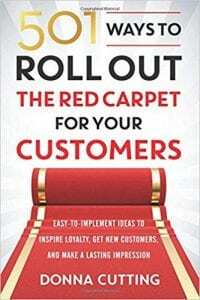 It’s like, “How can you celebrate your customers in a unique way?” There were many great ideas you had throughout the book. I want to thank you for it. Thank you and I’m appreciative of all the organizations. If I had known about you, you would have been in this book. You’ll be in the next one. I want to also give props to all the organizations that were willing to share the amazing things that they’re doing. That’s important to see too because when I tell people that we train and teach red carpet customer service, everybody’s initial response is to roll their eyes and say, “The world needs you. Customer service is bad out there.” There are many organizations and people who are working to create extraordinary experiences and moments that matter for their customers. It’s important we celebrate what we want to see. You won’t see a lot of negative stories in my book because I want to celebrate the positive things that people are doing and then maybe we’ll see more of that. The big takeaway is mapping the experience from the beginning. I challenge every company I speak with. What does it look like from the first time they see you on the website for when they buy, for when they call on the phone to what is the hold music, to what’s the voicemail, to when they first show up? Scripting it out and imagining what the best possible experience is. People often look at their product. They look at what happens once they get it, but it’s the entire process. That was the big thing that some of these great companies that I was fascinated by. They nailed it like Mama D’s from the beginning when people show up and waiting in line. What are those friction points that you make it amazing all the way throughout? That’s a great segue for our customer experience showdown. I’ve only done one of this other with Joey Coleman, who is a customer service expert. You are the second one to do this out of over 100 interviews. I’m going to name a different type of business industry, a type of employee. You have to say, “What would be a way to create a great experience?” and then you can throw one back out at me. A realtor? It is all about the personalization. It’s about knowing your individual prospects and customers, creating an experience that goes beyond the transaction. We have stories in the book where there was this one amazing realtor. She did all kinds of things like that. One of the things that she did was she would take pictures. She knew that she was selling a house to someone that they were also leaving a house that was full of memories. She would take all kinds of different pictures, not just the ones for the real estate website. She’d take different pictures what she felt were indicative of the memories that household held for her client. She put them in a beautiful album and that was a gift that she gave them as they moved into their new house. They were taking something of their old house with them. It’s all about personalization. I heard of one realtor in my mastermind that gets an unbelievably well-done painting of the house that they’re selling and delivers this painting of that memory. He asked, “What about when they’re buying?” I said, “Could you create something like two street signs and one has the old address on top with the date and the other one has the new address with the date. You have them cross-secting.” These mementos that can build the experience. Now you get to throw one at me. This is right up my alley because if anyone goes back to the episode with Darren Ross, who’s the CEO of the Magic Castle Hotel, they have such an opportunity to go above and beyond from the beginning. The Magic Castle Hotel was an old rundown hotel but it was yellow, my favorite color. As soon as you show up, they immediately come to greet you with a drink. They knew who I was. I wasn’t wearing the yellow tuxedo at this point because they know who’s checked in. It’s a smaller hotel. They greet me by name. They proceeded to give me a DVD list for free DVDs, which I didn’t know people had DVDs anymore. They proceeded to show me their free ice cream bar they had. They had drinks. They had a beverage machine with all drinks free at all times. They had the Popsicle hotline at the pool, which you can go to the phone at the pool and call and say, “Popsicle hotline.” They would come out and deliver a Popsicle to you. They do free laundry. They went far above and beyond. Any hotel experience, what are you doing from the first time they show up? How are they greeted? How can you surprise them? How can you listen and maybe ask a few questions when they reserve? What are your favorite drinks, favorite snacks? Have those built in? My wife does Airbnb. We have snacks and a couple of free drinks, either beers or wine or champagne in every single Airbnb because we want to wow them from the beginning. What you can do is you can always add to the price. You could put an extra $10 on it and they can pay for it. Make it a better experience. Maybe you have a blog post or something because I read that. 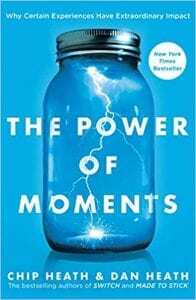 It’s in the book, The Power of Moments, by Dan and Chip Heath. I’ll give one to you, a school or a teacher? If you’re a school or teacher, let’s say not even college. Let’s go into high school or middle school. What could you do? It’s about being open to what your student or your family member needs at that given time and not being so rigid in terms of the rules. I’ll give you two examples. I’m going to go with the bus driver as opposed to a teacher. There is a school that we worked with where one of the children missed the bus. The mother called and she was distraught. She had to go to work. She couldn’t get her there. The bus driver took it upon themselves to go back for one child and pick them up. What I loved about this was that the principal and the marketing director when they told me the story, they said, “It costs money for us to do that, but the reality is we built a loyal customer, a loyal parent and student that we could have for eight years because of that one little moment.” The first thing is looking at the lifetime value of your customer and not making decisions based on what the rules are and what the policy is. The other thing that I will say is we also know the school bus driver who decorates her bus for every holiday. The kids get in and they are excited to see what the new decorations are. I love these examples because they’re small. It doesn’t cost a lot of money. It doesn’t take a lot of time. It’s a different way of thinking. If every teacher, principal, office staff member and the bus driver was thinking in that way, imagine what the experience could be. I’m speaking to a lot of schools these days and they always ask me, “We want to stand out. We want to be different.” I said, “Think back to when you were in elementary school and middle school. What class, what experience stands out?” Most of them have nothing. I’m like, “You’ve got to think about that. You’ve got to think about each teacher. How are they making their class standout?” It’s not the curriculum that they’re teaching. It’s how they’re teaching it. It’s the different experiences they’re giving. It shows up when you first walk into the school. Does the school feel different or is it like, “I’m going to sit in class all day?” It’s a big project but I’m fascinated by it because it’s not necessarily companies, but it can start with the schools. I think about the teacher that stood out for me and she did exactly what I’m talking about. She had her prescribe curriculum but she would let us, the students. It was my third-grade teacher, Mrs. Pixy. She would let us create experiences and put on shows. That was something I loved to do. I would come in every once in a while and say, “Mrs. Pixy, I have a show to put on,” and she would make time for it. She did that for every student. She showed up at my basement production of Cinderella during the summer. I’ve never forgotten that. Everyone should take that because I personally don’t have many that I remember, except it was in college when we came with our own children’s theater. We came with our own children’s play. We wrote it. We scripted it. We did it. We are part of the whole experience and I’ll never forget that. Maybe it is. Do you give the students more ownership in the way of coming up with how they’re going to learn and putting on shows and doing different ways other than doing tests? First question time and I’m big into questions these days. I believe if you want better answers in business, you need to ask better questions. What are some of the best questions you’re asking when you’re working with different groups throughout the country? The first thing is if it’s people who are going to work with at the end of this experience. If we were to work together, then what are the three things that have to happen in order for this to be a successful partnership? People like that question because it makes them think. I like that question because it gives me a great sense of what this organization, what these leaders are hoping to accomplish. The other questions would be related to where they already are. I’m thinking of a call I had. 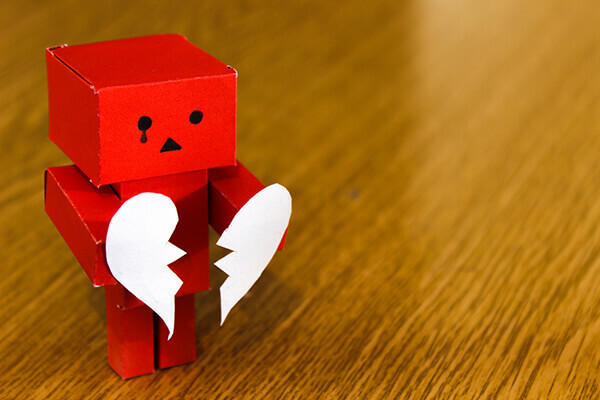 They’re asking me, “Do your programs change employee turnover?” My question back to them is, “Why don’t you tell me about your employee turnover? Why do you think that’s happening? What have you done thus far? What has worked? What hasn’t worked?” Get our customers to take ownership for what they are doing to create that culture of whether it’s customer service or employee engagement or whatever it is for them. Does your question provide clarity for the next person? Does it make him have a-ha moments? Thinking about outcomes, few questions there on the surface. They don’t get to those deep big outcomes. I’m not going to let you dawn on this one. Completely grill me, but I’m going to give you an opportunity a little bit because this is now flip the script. You are the host of the show and you can ask me one question. This is going to be easy for you. I want to know more about Ideapaloozas. When you said that, I’ve got all excited and tingly and then I didn’t hear any more about what that looked like. Share more about Ideapaloozas. Where you came up with the idea? What you’re doing with your team there? This is more than one question. What’s the best idea or one of the best ideas that you’ve actioned from Ideapaloozas? Our president came up with the idea and said, “We should have an Ideapalooza.” He said it and I was like, “That’s it.” About a couple of years ago, we would start meeting quarterly and we would have the whole staff. There would be drinks. There would be fun. We would start talking about ideas. We pick them out and read them. Usually, a lot of them were ridiculous. We still have all the Post-it notes from the first ones in our conference room taped up. Ideas like, “I was ridiculous because we’re the bananas.” I was like, “Yellow toilet paper,” which is disgusting. Ridiculous ideas but a lot of them we ran with. To think about where we are now, we’re much more focused on Ideapaloozas. We’ll have them in segments like these are fan experience ideas. These are promotion ideas. These are food ideas. They’re focused. We have someone who owns the ideas. I say this all the time, but I believe ideas are currency but implementation will make you rich. We focus hard on implementation. I could look back on the ideas. It was many years ago I said, “We should have a breakdancing first base coach.” I said, “It would be much more fun if we could get someone that could be breakdancing, doing the Moonwalk, doing a Single Ladies dance while coaching first.” It took five years until we had an audition and found the perfect person to do it. We unveiled him in 2017. As soon as he started dancing, it was a moment I’ll never forget. I started bending over, hyena laughing. My whole staff was looking at me like, “What is going on?” I realized at that moment we did it. We infiltrated the game of baseball. It wasn’t players dancing between innings. It was in the middle of the game. There was someone dancing while the game was being played and it went viral on ESPN, CNN. That was an idea and a person that I’ll never forget. We’re finishing with favorites. We’re going to bang through these. Favorite part of your morning routine? Every morning you do it? Every morning I’m in town. To sit with my husband. What about a book that stands out? 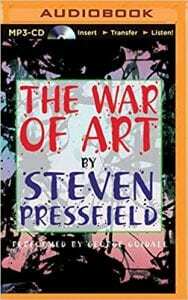 The War of Art by Steven Pressfield. I read it several times a year. I’m going to go with Posana’s. It’s an independent restaurant here in Asheville. It’s gluten-free. I don’t go there because of that. I didn’t know it was gluten-free food. You can get seafood and beef and all of that. It’s gluten-free but it’s delicious gluten-free. I would think with you in all different places, that had to be a pretty special experience there. My husband and I went there for an anniversary once. It was sitting in the corner of Asheville, watching the Asheville people go by. The presentation is beautiful and the chef is amazing there. The favorite business conference you’ve been to? I love the National Speakers Association. That’s our association. I love that conference. I spoke at LeadingAge, which is in the eldercare market. We work a lot with people in elder care and that’s a great conference. I’ve had Shep Hyken on the show. I got to know him pretty well. He’s mentioned the National Speakers Association to me as well. It sounds like a great conference. A favorite magic moment, one moment you’ll never forget. When you think about this one moment, what comes to your mind? These are all personal but I’m going to share it. It’s a moment that repeats every single year. That is that my husband and I collect Christmas ornaments where we celebrate Christmas. Wherever we go, wherever we travel together, we will collect an ornament. We have this moment where probably about an hour every year where we sit and we unwrap all the ornaments that are going on our Christmas tree. It’s a tree full of memories. We go through the 26 years that we’ve been together. It’s magical because no matter what’s going on in my life, it always brings me back to how much I have to be grateful for. Business can be personal in a sense. We should all redefine what a successful entrepreneur is. By how successful you are in your personal life is directly proportional to how successful you are in your business life. The fact that you’re grounded and have this great marriage, great memories shows why you’ve been successful in your business as well. Final four, we’re going to finish here. Number one, what have you done to stand out in business and in life? The number one thing that we have, and I say we because I have a little team and I want to give them credit as well. We celebrate other people’s successes. That’s one of the reasons why we have been successful is that we look for the positive things that people are doing and we want to celebrate those. If you were to give advice to someone starting out getting in the business, what would you tell them to stand out in business and life? To stand out is to look at the experience from beginning to middle to end and map that out. Make sure that you are building a culture with your team to match. The other thing I would say to someone starting out in business is to understand all of the different things that you have to learn as a business owner. It’s usually more than that one thing you’re passionate about. There’s a variety of new skills that you have to embrace as well. Never stop being a sponge. Final two. Best advice you’ve ever received? From my dad when I got my first job, one of the things he told me was to not worry about what my co-workers were doing or not doing. To do the absolute best job that I could do regardless of what anyone else was doing around me. I kept that in my heart and hopefully within my actions since the day he told me that. I want to be remembered for treating people well and helping them to remember that they are important as well. You’ve sufficiently passed Business Done Differently. You didn’t get the song right, but you dominated the customer service showdown. Donna, what you shared, the stories, the personal is amazing. It’s why you’re doing business done differently and why your book is one of the most practical ideas. I could have had about three Ideapaloozas on your book and I know you have one coming out soon. Thank you for being on the show. Where can people learn and connect with you? I want to say I agree with my friend, Joe Callaway. This is the most fun podcast I’ve ever been on. They can find me at RedCarpetLearning.com. Stay true to the red carpet. Connect with Donna and then some new things coming in the works soon, which we can’t wait to see. Donna, thank you. Thank you too, Jesse. This was fun. 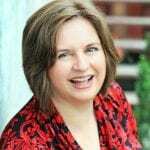 Donna Cutting, CSP is the Founder and CEO (Chief Experience Officer) of Red-Carpet Learning Systems, Inc. She leads a team of customer service experts that train organizational leaders to turn prospects into delighted customers; and delighted customers into raving fans. Rolling out the red carpet for others is as natural to Donna Cutting as breathing. Her fondest memories from childhood include the occasions when her mother and Memére, her French grandmother who was the mother of fourteen children, would roll out the red carpet for family members “returning home” to Fall River, Massachusetts. This tradition made a lasting impression on Donna and resonates with her to this day. A stage actress and dynamic keynote speaker, Donna’s mission is to inspire you to experience the “thrill of the red carpet,” where your customers matter, your work matters and you matter. Her passion for rolling out the red carpet and creating exceptional customer experiences moved her to found Red Carpet Learning Systems, Inc., through which she and her team help organizational leaders turn prospects into customers and customers into raving fans!